Not Losing Weight on a Very Low Calorie Diet? Many dieters think the lower the calories and the greater the exercise, the faster the pounds will shed. This is not usually the case. It is easy to make the mistake of eating too few calories while working on weight loss. This can leave you feeling frustrated, irritable, fatigued, and let down by your efforts. Let’s review how you can keep yourself out of the very low calorie zone, while continuing to be successful with weight loss. What Is Too Low Calorie? However, this can vary based on the size of a person. Why Does Weight Loss Slow? As soon as you cut the calories too low the body thinks it is starving. So, the metabolism begins to slow. The body wants to conserve its energy. 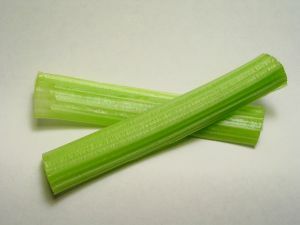 Once the body has exhausted its supply of available carbohydrates, the body starts to breakdown fat and muscle for fuel. This is dangerous and exhausting for many reasons. In addition, if you do lose some muscle mass while dieting incorrectly this can slow your body’s ability to burn calories. Muscle burns more calories than fat. So, it is always good to try to improve your ratio of muscle mass to fat mass. Everyone’s body is different, so it is hard to predict what will happen when someone begins a very low calorie diet. But, in my own experience, eight times out of ten, those who eat too few calories have none or very little weight loss. Once we add back more protein and a few healthy carbohydrates to a healthy calorie level, the patient once again sees weight loss. What’s a Good Calorie Deficit? We have to find the perfect calorie balance in order to lose weight effectively. Many experts say the magic balance is only a 200 calorie deficit. This is just enough to cause small amounts of weight loss, and not enough of a deficit for the brain to notice. If you want to speed up your weight loss, you can create a 500 calorie deficit with your food intake. As always, it is best to seek the advice of your local dietitian to determine what calorie level is best for you. One thing we do know is that very low calorie diets are not successful in the long run. Flexible dieting is a great solution because it teaches you how to eat more moderately in a way that produces slow and steady weight loss for the long term. People feel satisfied and they are permitted to eat their favorite foods as long as it fits their prescribed macronutrient amounts and TDEE (Total Daily Energy Expenditure). It gives your body the energy it needs to function and keeps your metabolism humming, allowing fat loss to occur. 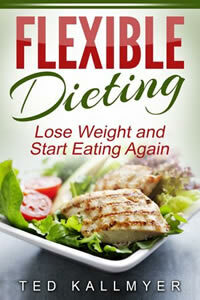 Learn more about flexible dieting here. 200 calories per day deficit? That’s less than 2 lbs per month. That’s horseshit. I lost 17 lbs in 2 weeks I eat an apple for breakfast and a banana for lunch and fish and veggies for dinner, I’m pretty sure it’s no more than 300 calories a day before that I ate everything in sight now I eat hardly anything and it is working for me 182 to 164 I’m not stopping until I reach 140 lbs and I’m still alive. The body burns up to 2000 calories a day from normal functions like your heart beating, breathing, and thinking this is why eating anything under what is recommended is dangerous. Hence the 200 to 500 cal deficit mentioned in this article for healthy weight loss. It takes time to do it right! That’s why people store fat, to have energy for all of that when there’s not enough food. You’re an idiot. 1200 hundred calories are way too many calories for a very inactive woman. Who gets no exercise even from house chores as she has a housekeepers. She is not burning the calories off. so true. i gain at 1300. i’m a teacher and don’t do much in the summer. going from walking 6-9 hrs/day to sitting mostly, my RMR drops so much in summer i have to cut to less than 900cal to lose weight. throughout a year, if i’m just “eating healthy” in moderation, and avoiding junk, i gain 15+ lbs/yr. and i eat healthier than anyone i know. Look up a BMR or RMR calculator to get informed. Also, i know diet is way more important than exercise, but daily activity level is huge! Be honest with yourself and look up calories burned by your job or daily activities. I also use a daily activity monitor which shows I only burn 100 cal/day during summer bc i am so inactive. Im 14 and have only 500-600 cals a day since the past 3-4 months yet I fail to lose weight. I suffer from constant dizzyness and weakness too even though I dont exercise. Probably because of the amount of calories I take in is way too low but Im growing fatter insted and its making me go crazy. How can I start loosing weight again?? Hi Nora, you really need to see a doctor, but you also need to eat more. You prob stopped your metabolism and are too weak to exercise. Muscle alone burns calories. I think if you eat pickles apples bananas every few hours as snacks take vitamin b12 and a multiple plus cut out sugarflour bread hotdogs stick to veggies and plain fish or chicken plus walk daily build it up to a jog once you feel up to it and do a 10 minute ab workout you’ll lose alot fast.. I’ve done it and lost 30 lbs in 2 months. Exercise and keeping metabolism going is key. You can add in oatmeal in morning or use it as a substitute for sweets.. Birth control can Make you gain and certain meds I now Iam 250 bc I had a baby breastfed then ate the same didn’t change my diet took birth control gained 20 in a week. So I’m back at it. Your metabolism is like a furnace if you feed it slowly over time more ofetn u burn more i f you don’t feed the fire or over feed at once you stop it or smother it. At your age you can drop fast but starving yourself never works believe me.. The key is and you can’t if your dizzy I get light headed and dizzy and esp did when I was a teen trying to starve myself I had no results until I worked out daily and ate moderatly but healthy meals. Quinoa and avocados are great. Boiled eggs are supposed to also be really good. There is also a drink of mother apple cigar vinegar with a pinch of cayenne lemon tumeric that is been shown to lose as much as 8 lbs a week but you have to drink twice daily 1 part vinegar to 4 of water. Ginger also is good as a stomach fat burner and appetite supressant helps lose weight I also make a tea that is green tea I add detox tea to it fresh ginger few chips of it but I eat them too from the tea and cinnamon and lemon. Honey can never used its supposed to help in small increments. Fresh raw garlic will also help I eat some in the manning chew it quick and swallow like pill it will gibe you energy wake you up..
Kale is great as well as fruit smoothies as it fills you and is easy on body to digest. Just fruit broccoli kale if you want you can use ice bananas and yogart. Hope this helps. ill let you know my results. I also try to do yoga just an easy fat burn one that helped last time as muscle building burns more and its hard to have a routine at first but will be addicted if you keep it and it will improve mood and energy. Even 10 min a day is very effective. Jalapenos help me revive pep me up get my belly going the fiber in oatmeal helps but watch what you add to it. Drink mostly just water with lemon and green tea sinks are what makes most ppl overweight. Also for years I starved myself thought I was huge bc I wanted to be like Taylor swift skinny but instead looked more hawaaiin build or like Beyonce more and my self image was distorted I saw more than was there. You may be alot better off than you think. Stress lack of sleep will make you gain also. Don’t eat after 7. Drink lots of water. Metamucil helps fiber and your system to flush. Standing up straight holding stomach tight burns also can make you look thinner just from good posture. Eating little its effective esp if you eat badly what you eat matters as much or more than how much. Phones now have apps for exercise weight loss water intake. You can calculate you needed calories for your age and goal weight to help you. Remember you are beautiful the way you are but a good routine and good health will make you feel better and about yourself. Sometimes the first month can be deceiving as your body adjusts stick to it and you’ll see results. You overall well being and how you look isore telling than weight as muscle can make u gain as u lose fat but will seem smaller keep tract of pant sizes jic. Also when u starve yourself your more likely to gorge after. To clarify bc I said it confusingly green tea helps burn no sugar but can add little honey… Drinks like soda juice not blended fruit add alot of calories I had 300 just from juice alone a day. Just switching to water helps sole ppl lose 10 lbs a month..
Vitamin b12 supposed to help metabolism and getting sunlight will also. Nonsense. Yes it is. It is true that the metabolism will slow, but it won’t slow faster than the weight loss. You will lose weight faster on 1,000 calories/day than 1,600 calories a day, all else being equal, period (and the same for every 100 calories step on the way down). Very low calorie diets can have other health (and psychological risks), hence a moderate calorie reduction is usually best in the long run, but no, you won’t shed pounds slower by eating less, metabolisms aren’t quite that inefficient. Drop your calories by 200 for 2 weeks. If no change, drop another 200. There is no way you’re 200lbs and that your metabolism has slowed down faster than weight loss to the extent that upping calories will help you shed pounds faster. If you were 5% bodyfat this might be plausible. But you’re not and it’s not. I am exactly where you are Melissa. Started at 5’9” 265lb and now down to 195 (190 at my lowest!!!). But now I seem to keep around 195-200 and cannot for the life of me lose anymore. I’ve been eating less than 1800 calories for 3 years now and stopped seeing weight lose results for 5 months now. Some of the Advice I’m seeing, seem to be for “regular” people wanting to lose weight from lets say 200lb-160lb. Coming from an obese stand point I do not believe our goals can be handled the same way as mentioned in the scenario above. For us, our bodies think that this is the lowest we’ve ever been at 200lb. Versus someone else sees 200 lb as the highest they’ve ever been. Coming from someone who has also lost 70lb I imagine that you’ve been on a low calorie diet for a long time (say 3 year) and we may need bite the bullet and eat at maintenance calorie for a while (maybe 2 weeks?). I am soon going to do this and I can imagine gaining back ~10-20lb of hard work but at this point i think it maybe worth it. After settling at this weight for 5 months its worth the risk. But this is just my perspective. Best of luck to you! Everybody is different. Im currently on a 700 calorie a day diet and Im already losing. So Its different for everyone. Everyone anywhere remotely close to being a normally sized adult who is not in a coma-like state (ie. even if they’re hugely sedentary but can get up, go to the shop, sit at a computer for eight hours, go out for dinner, and sleep for 10 hours) will lose at 700 calories a day, although that’s the level where diet needs to be incredibly strict to gain sufficient protein, micronutrients, healthy fats and fiber. It has its health risks, but EVERYBODY will lose weight, and fast, just like they did in Auszwitsch @700-1000 cals/day (which shows that you can’t afford to stay on calories that low indefinitely because EVERYBODY will lose too much weight over time). I have been on a VLCD (under 800c) for almost 2 mo. I have stopped losing weight.. so I added 2 1200 calorie days to my week.. still not losing weight. Not gaining either. Drink 96-112oz water a day. It’s hard.. I need to lose another 50# to try and take pressure off 2 very bad knees. I do maintain my nutrients. Protein Shakes and multi-vitamin. And since it is summer there are lots of fresh veg… alas.. I am going to be a #weightywarrior forever. i have been on a diet for 14 days now. i do not eat breakfast or dinner, i am eating 1 meal a day for lunch and drinking alot of diet lipton green tea and water through out the day. i have lost 18lbs so far. before i started this diet i was at 250lbs and this morning i weighed in at 232. i am 37 years old and about 5’10” tall. i am only adding this comment to tell you guys that this is what is working for me. its probably not healthy, not right, blah blah blah… but im going to keep on doing this till i reach my goal of 190lbs… you have to be serious about losing weight and stay disciplined. What you have lost till now is water weight. Soon you will start losing a lot of muscle and a little fat. And you will plateau. Eat protein. Limit carbs. Eat healthy fats. Maintain a deficit. And even if it will take you some time to reach your goal, you will reach it. Trust me. hii there.! may i know how many calorie lunch you intake or what u use to have for lunch and nothing after that .? not even fruit ? Don’t worry about calories. I’ve lost 144 pounds in the past 20 months. I feel great. I don’t count calories, I count carbs. I limit my carbs, eat lots of fat and meat. Cut out sugars and wheat from your diet. Read the book “Wheat Belly, Lose the Wheat and Lose the Weight” by Dr. William Davis. I’ve now lost 155 pounds. NO calorie counting, no weighing food, no doctors, no diet plan, no pills. I eat all I want. I only watch the carbs. Your body is in starvation mode and converserving because its preparing for a famine. Its very reluctant to let go because its worried about being able to survive. Get a resting metabolic rate test done to see how many caloroes you specifically use just for basic body functioning. My guess its going to be closer to 3000 calories for your weight. That doesnt include the energy you burn doing things throughtout the day which is about 25% more calories. If you just eat your rmr in calories all activity will be your deficit and ypu can easily lose 2 to 3 lbs a week. Also…are you muscular? Muscle burns calories at rest. 10 calories per pound of muscle. Start lifting. Nonsense. I am currently on a 700-750 cal/day diet. At 6’3″ and over 200#, that is about 25% of my RDI. Doing so, I can still lose over 3# a week for months at a stretch. THis is repeatable, as well – I lost weight solely so i can be a glutton. I gain 40-50# in 3-4 months then lose it in half that time. I beg to differ, and that’s why I posted about my problems yesterday. Because I have had times where my weightloss stalled even though I was following my diet plan and exercising. There does come a point where you go into starvation mode and your body holds on to every ounce you have. It just took me a while to get the connection with my sleeping habits because apparently my sleeping disorder is very rare. I think you answered some of your question as to why low calorie diets are not a good idea- they lower a person’s metabolism, and cause the loss of muscle tissue, thus making weight regain almost inevitable if there was any increase in calories at goal weight. If a person’s metabolism is slowing down as they age, a low calorie diet will lower it even further, thus making even weight loss, much less maintenance much less likely. In my 40’s I tried low calorie diets and found they were not that effective in causing weight loss- a my body just became more efficient at burning calories and therefore my weight loss would stop after awhile. Also, think of the many nutrient deficiencies a person will develop when they consume so few calories. For instance, a vegetarian or vegan could not get enough protein on so few calories- for instance, beans and rice at two cups has 440 calories and yields 20 grams of protein- I need about 72 grams a day if you go by 1 gram per kilogram. Nuts are a good plant source of protein, but they use up a lot of calories as well. I am becoming more Vegetarian and because I exercise so much, I can consume enough calories to get enough protein on a mostly plant based diet. I could not get enough on less than 1200 or 1600 calories a day. This is yet another article trying to scare people off low calorie diets without actually explaining the reason they are a problem, and leaving people without any real clue about weight loss. A person will lose weight on a low calorie diet. That is a fact. If it weren’t, anorexic people wouldn’t have anything to worry about. The problem is that most people won’t be able to maintain a low calorie diet. Eventually they will increase their calorie intake and gain weight because they have lowered their metabolism. If you can cut your calories and keep it up FOREVER then you will lose weight. There are, of course, other issues with a very low calorie diet, especially if you get so low that your body begins to break down organs for fuel. Yes I had this problem and it was hard to solve because I have a kind of sleep disorder where on average I sleep about 4-5 hours a night instead of 7-8. So imagine trying to tell my doctor that even 1800 calories was too low for me because I am awake about 20 hours a day. So I am just going it on my own, eating between 1900-2200 depending on how much sleep I get and see what happens. Granted, I don’t have any complicating factors (health issues, medications, mobility problems, etc.) but I lost 40 pounds pretty quickly at 1600-1700 and light/moderate exercise. I would have eaten my own arm if I’d tried to do 1200 calories. 1700 was pretty easy, though. Furthermore, not getting impatient and trying to hurry things gave me time to adjust, so I haven’t gone back to my old habits. Yes, I’m that annoying person who really did lose weight and keep it off with a sensible diet and a little bit of exercise. Sorry. Admittedly, you can heavily lose weight when – literally – starving. See pictures of prisoners in bad conditions. But in any case: Weight loss is not necessarily healthy in itself. You need fat (although preferably less in the waist), you need muscles, and overall your body needs energy with macro and micro nutrients. Therefore: Yes, if you want / must really lose weight, choose a slow approach. One, maybe two kilograms loss in one *month*. That is a calorie deficit of 7.000 to 14.000 kcal in 30 days, or nearly 500 kcal a day. And in the first place: Cut the sugar / refined carbs. Maybe you can replace very similar food with a no-sugar or low-sugar alternative, even if the calories might be similar. Sugar has many, many disadvantages for a healthy life. So choose brown bread instead of white bread. Choose fresh fruit instead of dried fruit. Choose extremely dark chocolat instead of milk chocolate – you get the picture. I tried a diet once where I only ate about 1000 calories a day, thinking I’d lose a bunch of weight. Initially I lost quite a bit of water weight, but I found it hard to do anything physical and I got really hungry. I upped my calories to around 1800-2000 a day and did a lot better. I’m very active and if I get fewer than 1600 calories a day, my body lets me know. Before this last time when I lost weight successfully and kept it off for over a year now at the lowest weight I have been since high school, I used to drastically cut my calories, while only exercising without raising my heart rate a few days a week. I would lose some weight, and then I would plateau after some 20 pounds or so and then gain the weight back. I was not tracking my calories at that time, which makes it very hard to accurately eat at a slight calorie deficit. Tracking is *very* necessary for me and I am sure for many others to eat just a little less than enough in order to lose weight without going into starvation mode. In this last successful time, I exercised by bicycling to work everyday and getting my heart rate up much higher than I was doing before and lost some weight without tracking. I lost weight by having it in mind not to pig out while I was exercising. But when I started to track what I ate, I lost weight very quickly at 2000 calories a day. I was doing this HIV vaccine study and getting weighed each month while I was losing my weight. They had suggestions for me to lose weight and one was not to cut calories that much, in order to get enough nutrients and not to go into starvation mode. One of the nurses noticed a lost a lot of weight at 2000 calories a day and suggested I increase it to 2500 a day. This slowed down my weight loss to about one pound a week. I think not losing weight very quickly (I lost between 1 and 2 pounds a week on average) is one reason that I have been able to maintain my weight loss- mainly because I did not starve my body to lose the weight. I find that I can eat between 3200 and 3500 calories a day and maintain my weight of between 160 and 162 at 6 foot. My heaviest weight was 255. Mind you, I bicycle every single day for at least 1.5 hours, so this does increase the number of calories I can eat. I also walk 3 days a week between 3 and 4 miles each time and do some strength and flexibility exercise. I now find the main thing that makes me *start* to gain weight is eating at buffet restaurants, as well as holiday eating. Regular vigorous, exercise that raises the heart rate above at least 70% of the max does not enable most people to eat everything they want and still lose weight even though it does cut down on the weight gain, but it does enable a person to lose fat at higher than 1200 calories a day for a woman, or 1600 for a man, therefore avoiding going into starvation mode. Also, another alternative to cutting 500 calories from one’s diet is to burn an additional 500 calories a day from exercise, while strictly not increasing the intake by 500 calories. 5 miles of running burns about this number of calories. I think about 10 miles of bicycling burns this number of calories as well. Research has definitely shown that exercise without compensation is just as effective as cutting calories and has even more health benefits. The vast majority of studies which purportedly showed that diet was more effective than exercise was when the calories deficits were not strictly matched. In most studies, the dieters have at least a deficit that is at least 500 calories a day greater than the exercisers. Burning an extra 500 calories a day without compensation causes just as much weight loss as cutting 500 calories a day. The extra 500 calories a person could eat while exercising one’s weight off could come from fruit or nuts, avocados or many other healthy foods, therefore multiplying the health benefits of exercising one’s weight off. Great that exercise works for you but for those of us who are in our fifties and have crunchy knees and other health issues, vigorous exercise is not possible and is not recommended either as it results in injury, inflammation and high cortisol, all of which reduces ones ability to burn fat. Walking is good enough along with light stretching oe yoga if you can do it but I cant. Just eat less carbs more vegetables good protein lots of fiber and avoid stress. Heavy exercise IS STRESS to the body especially in middle age and after. Our bodies wear out and can’t rebuild well, why wreck yourself? There is no such thing as an easy low calorie diet. Don’t be fooled by savvy marketing. Many people without proper understanding, seem to think that simply shoving a shake down their neck will work wonders! But, studies show that in the long run people generally cannot maintain this way of eating, nor can they keep the weight off years down the line. I have been on a 700 cal program now for 3&1/2 weeks. No sugar, fat or dairy. Very limited carbs. I lost 5kg the first week but the scale in not moving since then. I am absolutely very strict and monitor the cals very close. I am mostly sedentary. I don’t know the math says I have to loose but why am I not?